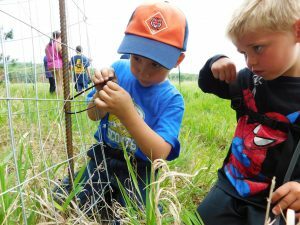 On National Get Outdoors Day, youth with a troop of Boy Scouts of America put on their sunscreen and bug spray and “got outdoors” at Wild River State Park. 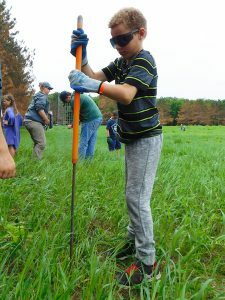 They joined the Friends of Wild River and a DNR naturalist to tackle a conservation project in the park–something that has become an annual tradition. Their task this year? 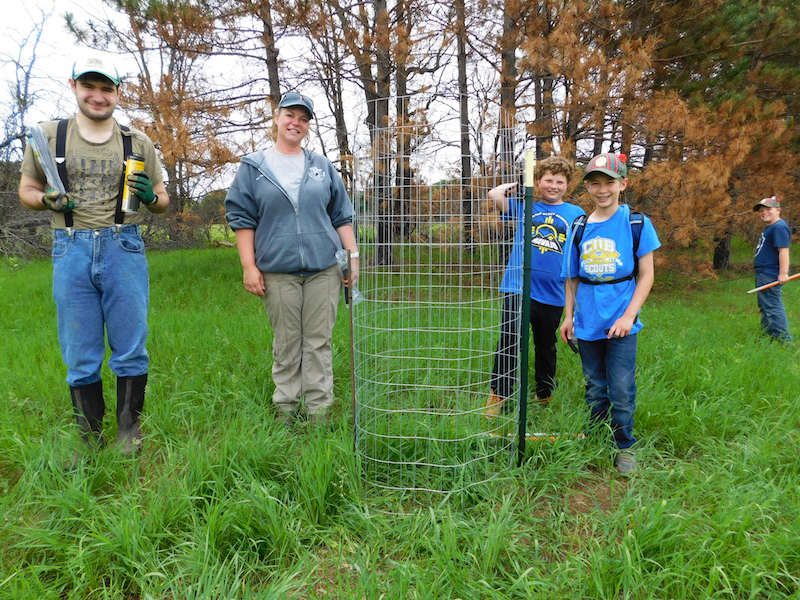 Installing tree cages around small oak trees to protect them from hungry deer. 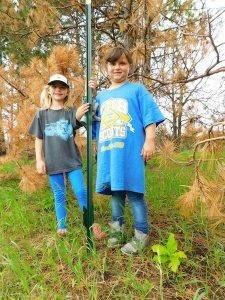 The DNR is restoring an area of land in the park into oak savanna, and in order to do that, oak trees need to grow. When oak trees are young, their leaves are a tasty food source to deer. When the tree’s leaves are eaten, they have a lot harder time growing. So, tree cages offer protection from deer browse and allow the young tree to establish itself. 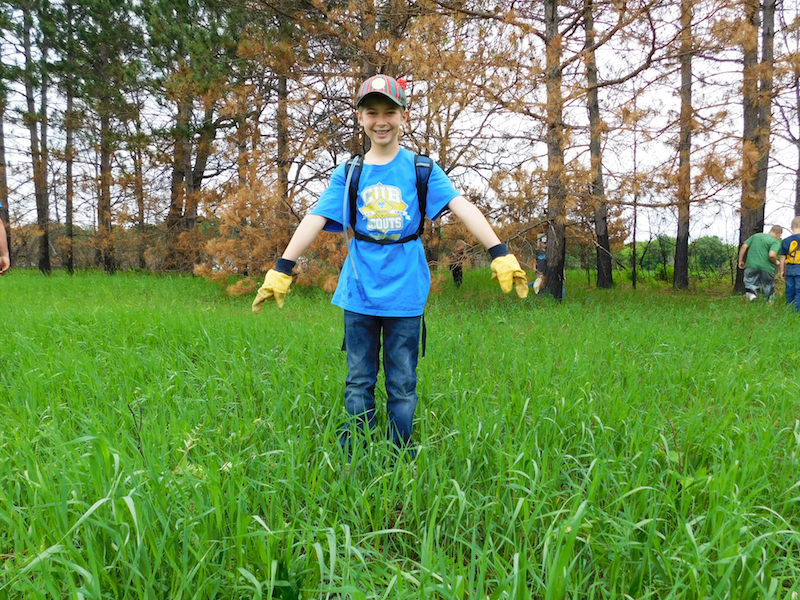 The scouts learned about how to identify an oak tree, and they quickly spanned out to search. “I found one! There’s one!” chorused throughout the field. Teams worked together to pound posts into the ground and attach the circular cage to the posts. 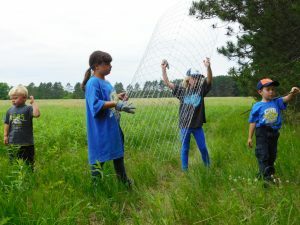 Moving along the edge of the field, farther and farther from the road, the group installed dozens of cages. He found two oak trees ready for tree cages. Carrying tree cage supplies over to an oak tree. This event was hosted by the Friends of Wild River State Park. 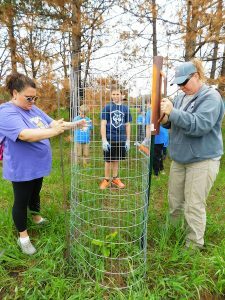 The Friends Group, in partnership with the DNR, is implementing a habitat restoration project in the park, installing ~300 tree cages in four separate areas in the park to protect growing oak trees. The project is funded by a $5,000 grant from the Parks & Trails Council. This team poses with their handiwork.